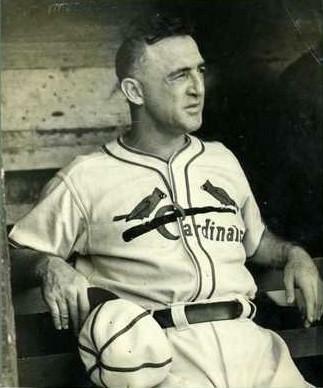 Joe Medwick won the Triple Crown when he hit .374 with 31 homers and 154 RBI in 1937. 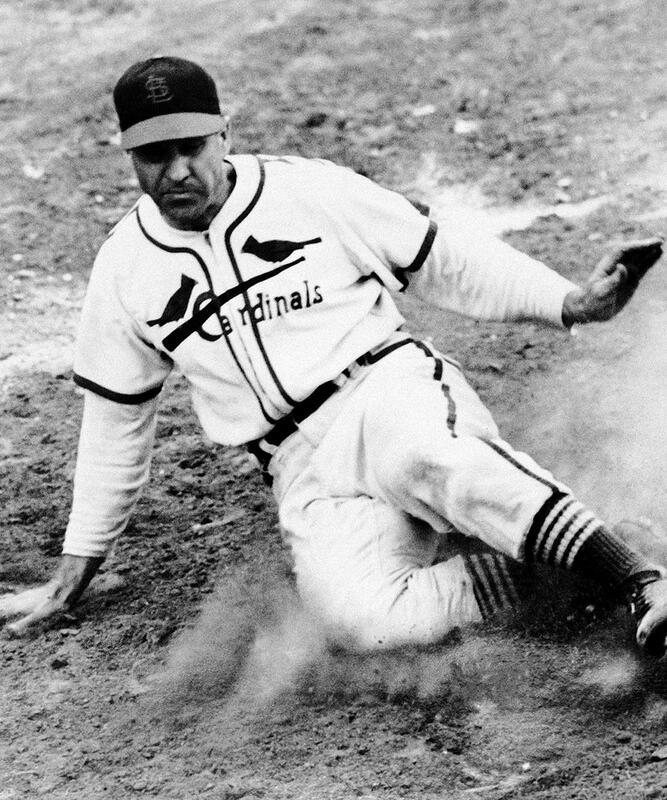 He remains the last NL player to accomplish the feat. The 1939 World’s Fair in New York was attended by over 44 million people with countries from around the world participating. Among the exhibits was Academy of Sport and specifically the School of Baseball. Cardinal star and 1937 Triple Crown winner Joe Medwick was among the big leaguers who taught baseball at the Fair. 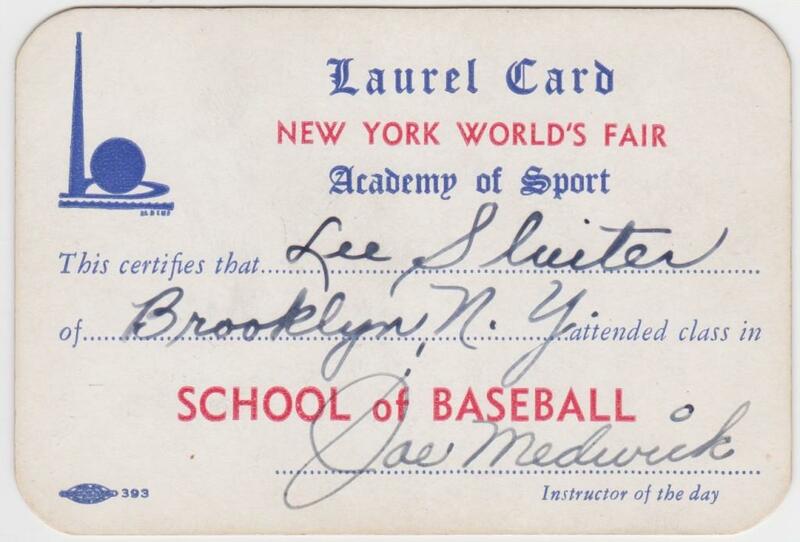 A young man named Lee Sluiter attended Medwick’s lecture and received this Laurel Card upon completion. 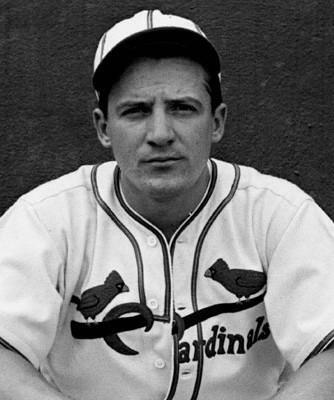 A world champion with the 1934 St. Louis Cardinals Gas House Gang, Joe Medwick played 17 big league seasons with four different teams. 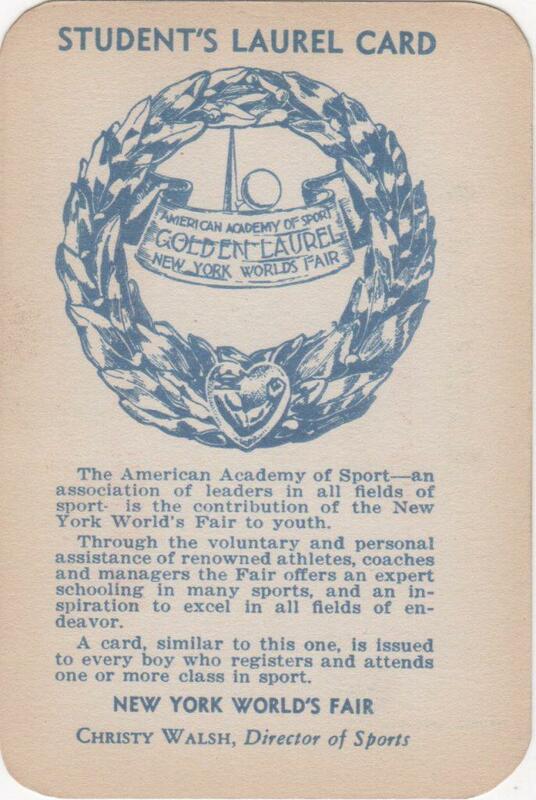 Shown here is the back of the World’s Fair Laurel Card. It states in part, “A card similar to this one, is issue to every boy who registers and attends one or more class in sport. New York World’s Fair. 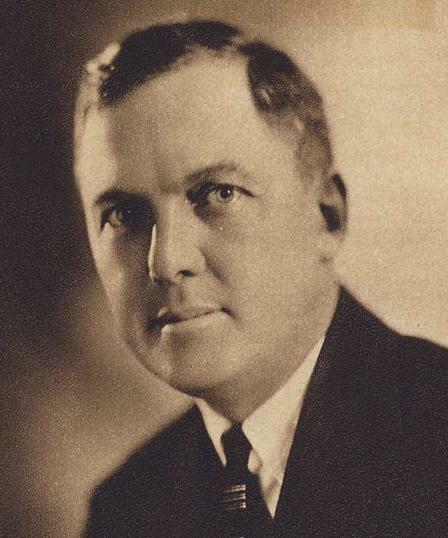 Christy Walsh Director of Sports”. 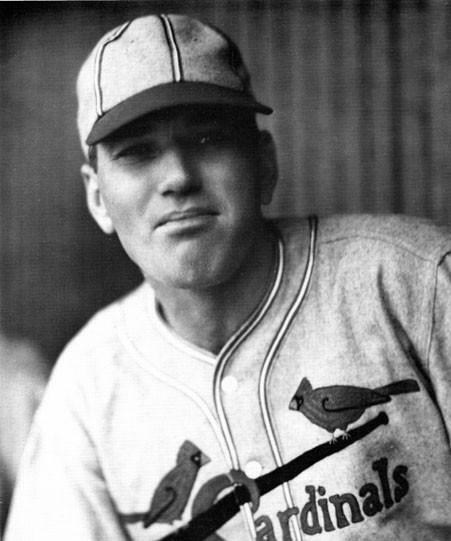 A ten-time All Star, Joe Medwick reeled off seven consecutive appearances in the Mid-Summer Classic from 1934-1942. 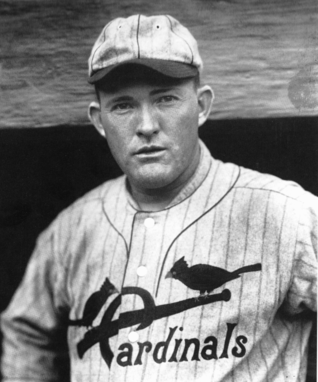 The slugging left fielder played his best years with the St. Louis Cardinals during the first 11 seasons of his big-league career. 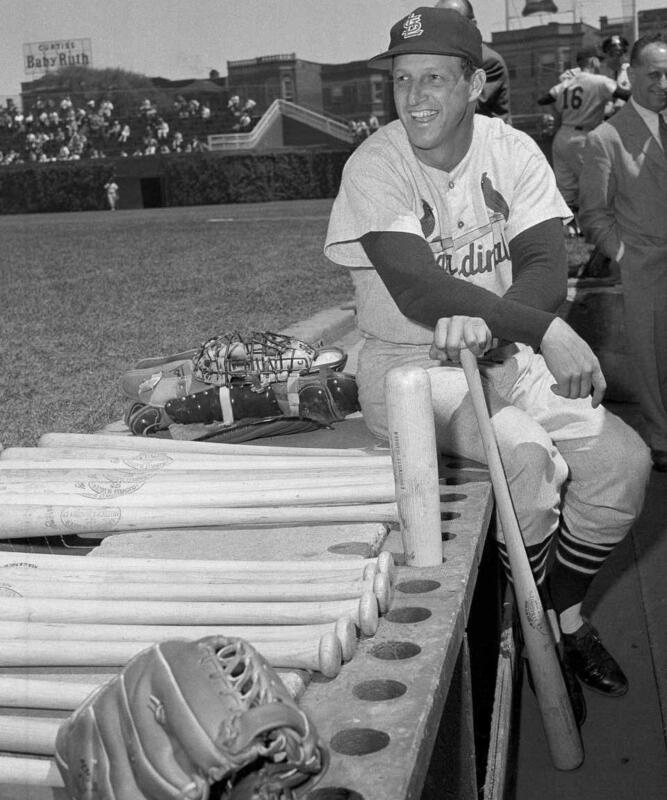 A career National Leaguer, Medwick also suited up for the Dodger, Giants, and Braves. 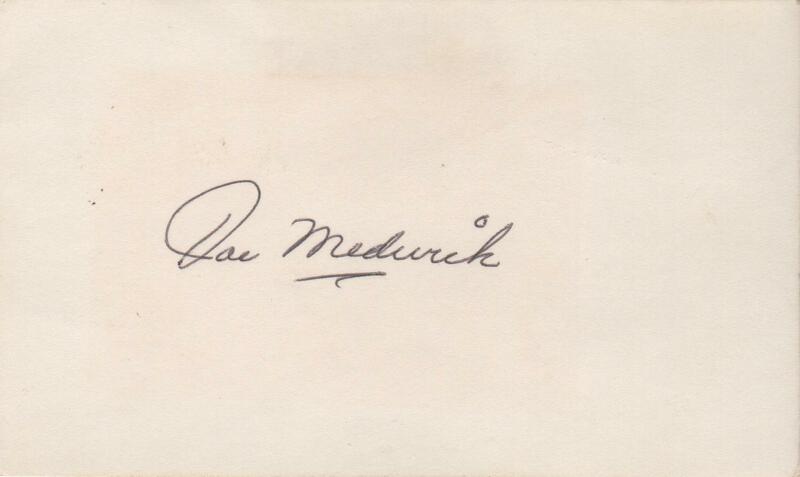 Shown here is a signed 3×5 index card of the 1937 NL MVP and Triple Crown winner.